Migration of PST to Live Exchange Server is not an easy task for the users, as there are no such methods and solution available for the direct conversion and it is almost impossible. The Converter software is an alternative solution to overcome user problems regarding the conversion of PST to Live Exchange Server. The software is simple, rapid and swift for both the technical as well as a nontechnical user so that the users do not require any technical expertise while operating them. The Outlook and Live Exchange Server is the service email clients which are provided by Microsoft. Sometimes, it happens that the users are keen to shift their domain from Outlook PST to Live Exchange. During this conversion process, the user tries each and every method for exporting their PST data to Live Exchange Server but is not aware of this fact that wrong processing of data conversion can damage their mailbox items. Therefore, reliable and trustworthy converter software is the need for the conversion of PST to Live Exchange Server. What are reasons which lead to the conversion of Outlook PST to Live Exchange server? 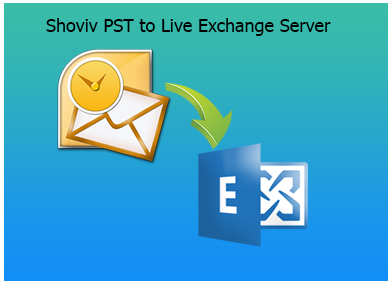 Live Exchange Server is standard service by Microsoft for the users to directly transfer their data to the server. The Live Exchange server is the updated versions of the previous Windows Mail and Outlook Express that were included in earlier versions of Windows with some additional feature. There are many reasons for the conversion of PST data to Live Exchange Server. As it is the users need to keep their files backup copy and have a mobile environment for the transfer and migration of data. Since, Live exchange server supports the number of email clients such as Mozilla Thunderbird, Window mail, Apple Mail, etc, therefore, it gets easier and mobile for the user to export their domain to one another. What are the benefits of converting PST to Live Exchange using Converter Software? The Outlook Recovery software is flawless software which is capable of exporting Outlook PST mailbox data into Exchange EML format. The Outlook Recovery software allows a mobile environment to it users which is quick, easy and does not consume user time. The shifting of data from PST to Exchange Archive folders, Exchange Live Server mailboxes and Exchange Public folder is possible with tools of this software. The Outlook Recovery software comes under recovery software by the name Exchange outlook PST recovery. This software not only converts Outlook PST to Live Exchange Server but is also capable to recover PST data that has been damaged or deleted within the Outlook PST files. Apart from this the software comes as additional benefits for the users as this software is not only able to convert PST to exchange server and recover PST files but these software tools are also capable to convert data from PST to Office 365. You can also read our previous article on Exchange server Migration to know better about the migration process. It has become the necessity for the users to shift their domain from Outlook PST to Live Exchange server for the better access and mobility. In order to fulfill this need, the user requires trouble-free and dependable asset which can provide satisfactory results without data loss. Therefore, we suggest user with effective and efficient software which is capable of exporting PST mailbox to Exchange live Server. Download Outlook PST Repair tool to Migrate PST into Live Exchange and Office 365.